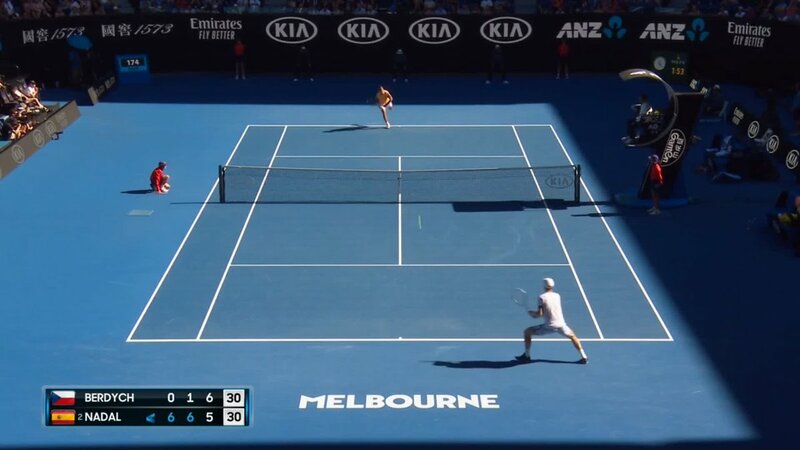 #AusOpen's tweet - "Way to set up set point vs #Rafa, @tomasberdych! But #Nadal hangs tough & we're into a third set tiebreak. #AusOpen | @Channel9 "
Way to set up set point vs #Rafa, @tomasberdych! But #Nadal hangs tough & we're into a third set tiebreak.